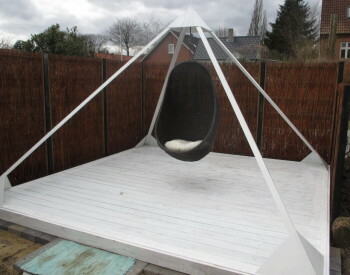 Experience the CreativeSpaces-fm.com/”De Kreative Mellemrum” – gallery with paintings and mosaics as well as a different, outdoor learning environment and sculptural garden. 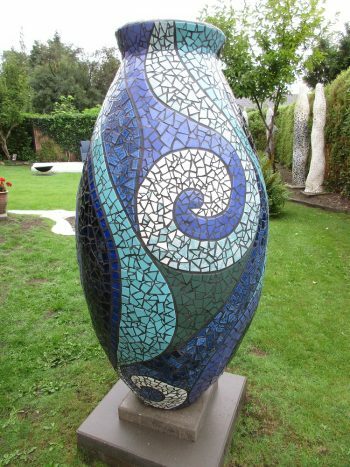 Maundy Thursday from 1 p.m. to 4 p.m.
Good Friday from 1 p.m. to 4 p.m.
Easter Sunday from 1 p.m. to 4 p.m.
Easter Monday from 1 p.m. to 4 p.m.
Everybody is welcome to visit the sculptural garden and the gallery at “De Kreative Mellemrum”/CreativeSpaces-fm.com, but please call Marie Elisabeth (+45 40 21 65 94) beforehand to make an appointment. 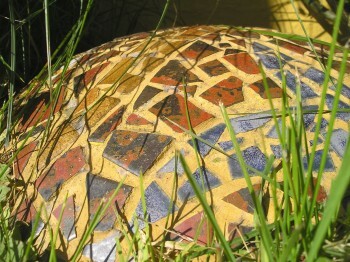 Marie Elisabeth has created a large mosaic sculpture called “Abundance” which can be seen in the sculptural garden at “De Kreative Mellemrum”/ CreativeSpaces-fm.com in Gl. Rye. 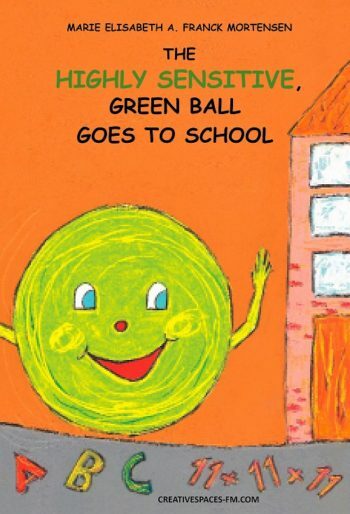 Use coloring books to relieve stress and anxiety and improve your ability to focus and concentrate. 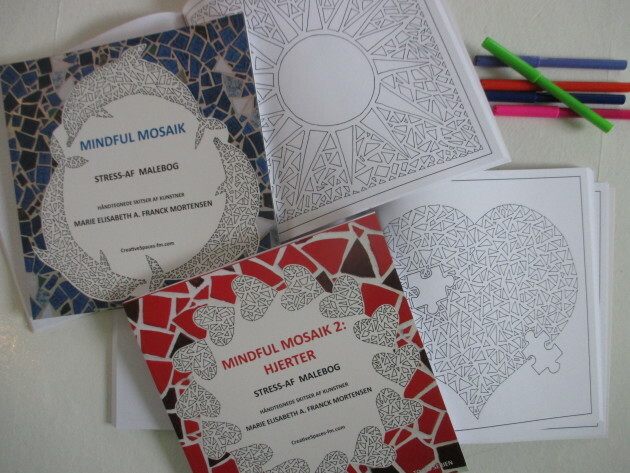 Read about the coloring books in the MINDFUL MOSAIK-SERIES. well-reputed eatery, Lyng Dal Hotel and Restaurant, in Gl. Rye. Spoil your senses with amazing gourmet food at Lyng Dal Hotel and Restaurant and get inspirational food for the mind at CreativeSpaces-fm.com. Call +45 40 21 65 94 for more information. In August 2015, “CreativeSpaces-fm.com” set up a creative mural project at Pulszonen in Kildebjerg Ry, Denmark. 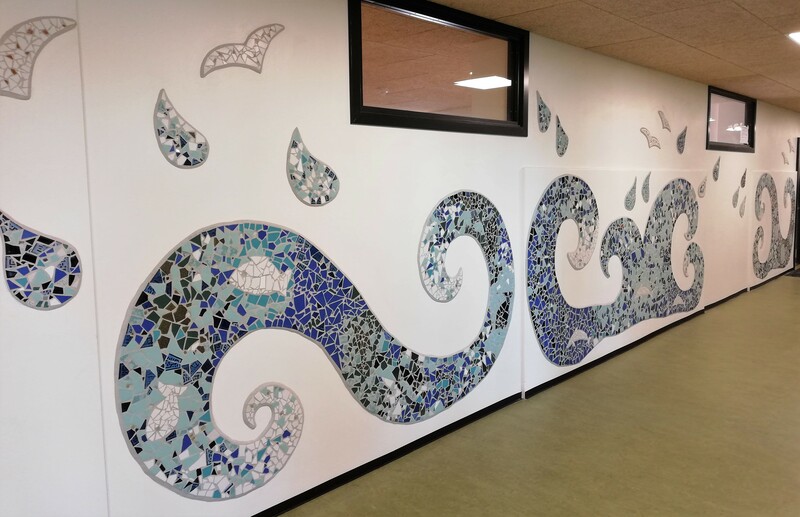 American muralist and cartoonist Phil Yeh created two murals together with three 5th grade classes from Moelleskolen in Ry, Denmark. The purpose of the mural project is to promote the love of reading, learning and languages, as well as encourage idea development, creativity and physical activity among children. Marie Elisabeth functioned as creative consultant on the project. 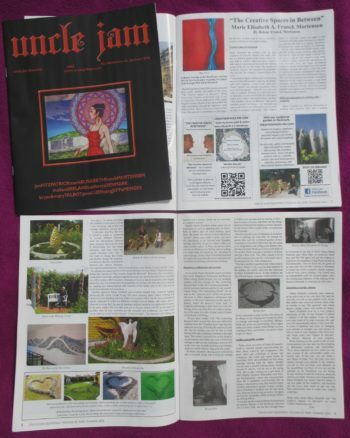 The mural project in Ry and “CreativeSpaces-fm.com” are featured in articles in the June 2016 issue of the American magazine, Uncle Jam. Read the inspiring article on the Paint Pulszonen-project and Phil Yeh’s adventures in Denmark on page 6 + 14 + 15 + 45 + back page. 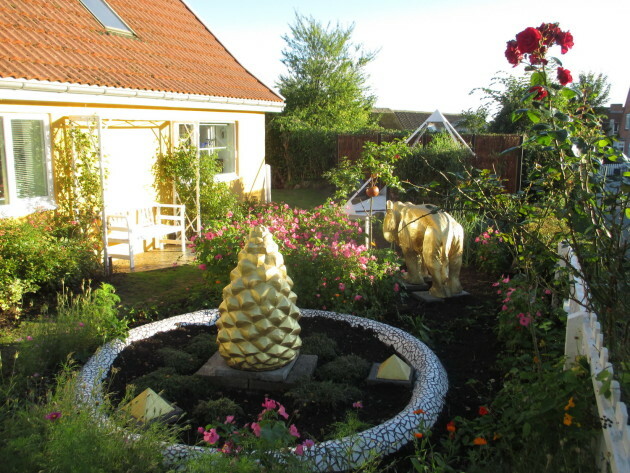 Read about “CreativeSpaces-fm.com” and our creative approach, and see pictures from the sculptural garden and the studio on page 7 + 8 + 9. “THE IDEA-PYRAMID”, a constructive tool for getting new, great ideas. Now you have the opportunity to come and try out the Idea-pyramid at CreativeSpaces-fm.com in Gl. Rye. Pop in if you want to get inspired and learn about creativity. 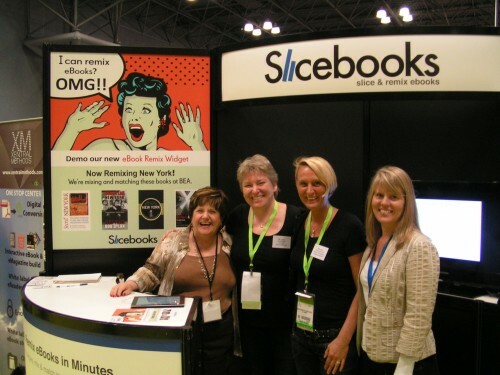 The sculptural garden and the studio is always open after appointment – call +45 40 21 65 94.
at the Book Expo America 2013 in New York. Do you, your company, your organization, your club or your staff group need to be lifted, to think out of the box or find new paths, then I can help. For further information, contact me on cell phone +45 40 21 65 94 or send me a mail at info@CreativeSpaces-info.com. Read more about my courses and workshops. I’m looking forward to giving you an exciting and different experience.